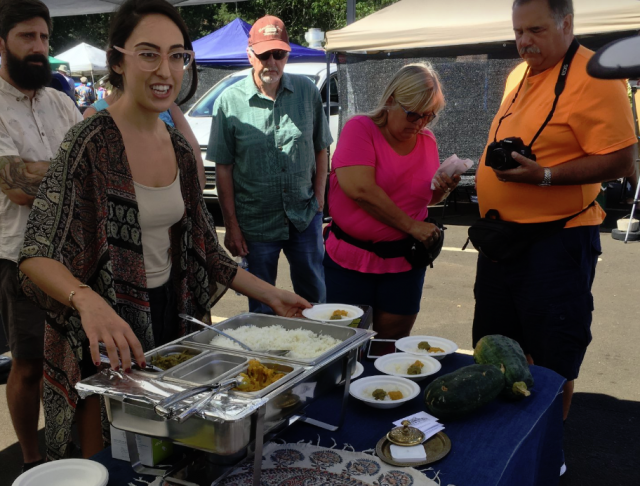 I talked to Stephanie about her experience and, after participating in all five food tours, she chose the South Shore Food Tour and the West Shore Food Tour as her favorites. 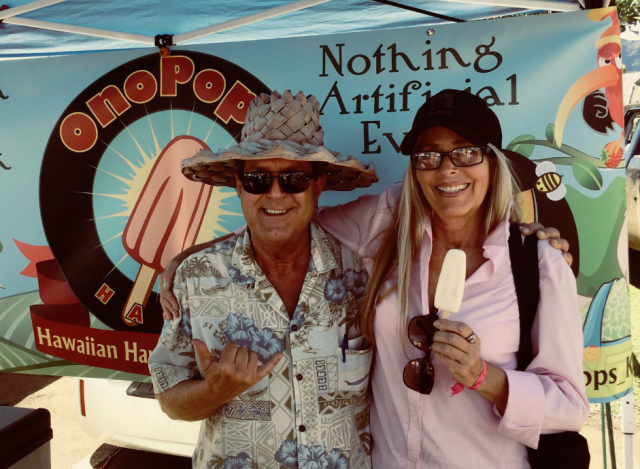 Tasting Kauai offers each food tour in the afternoon; times vary depending on the tour. Foodies drive in their own car (Exception: West Shore is a walking tour) as the guides lead them to places on the tasty treasure map. At each stop someone intimately involved with the food production sets aside special time to talk with, and answer questions from, the group. Because there is a maximum of 14 people on the food tours, participants are given personal attention at each stop. Tasting Kauai calls it a “culinary romp through paradise.” What a wonderful way to spend that last day on Kauai before getting on your long flight home in the evening. 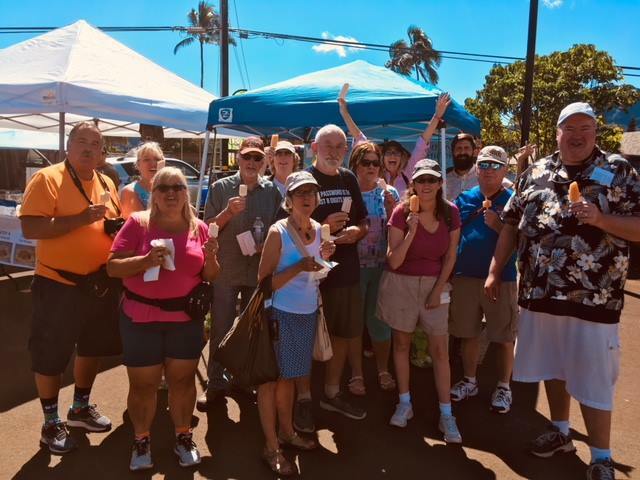 East Shore Food Tours – jump in your car and follow us on a culinary adventure across the East Side of the island, known as the Royal Coconut Coast. Explore hidden gems; sample burgers with a local twist and enjoy tastings at some of the East Side’s best farm-to-table restaurants. This unique food tour is centered on the regional cuisine of Hawaii, where the host community lives, eats and plays. This food tour runs every Thursday and includes 6 stops of local restaurants on the Coconut Coast. $109 per person – 10% off total order when booking online and using the coupon code: ONLINE. Go to Tasting Kauai’s website to make a reservation. Registration is open until 9 a.m. the day of the tour. You will receive an email confirmation immediately upon successful registration. Please read it carefully as it includes directions to the first meeting place. If you have not received an email confirmation from Tasting Kauai, check your junk mail. For questions, text/call at 808-278-2912, or email Tasting Kauai at info@tastingkauai.com.